I’m not a huge fan of television – I think it wastes brain cells and steals time, neither of which I have a large supply of – so I don’t get into very many shows. In fact I limit the number of programs I’ll allow myself to obsess over. So what am I obsessing over right now? Only two of the best shows EVER. My absolute favorite right now is Castle. It might even be my absolute favorite ever. And because I adore this show so much I’m always surprised at how many people have never even heard of it. Richard Castle is a charismatic man and extremely successful mystery writer. His mother (a former Broadway star) and his teenage daughter (much more mature and grounded than either of the adults) live with him and the relationships between the three is precious. Kate Beckett is a tough, but compassionate homicide detective who has to “put up” with Castle because of a request from the mayor. She’s loathe to admit what a huge fan of his books she is and even more dismissive of her growing feelings for him. People, I’m telling you. This show is pure delight. Nathan Fillion plays Castle and he is perfect in the role of charming rogue with just the right mix of self-deprecation and conceit. Stana Katic is ideal as Detective Beckett. And they are so much fun together! GLEE. Okay. So it’s not exactly high quality entertainment as my title suggests. But the songs are awesome and the arrangements are brilliant! Some of the plots go from a bit silly to flat out ridiculous, but that’s part of it’s attraction. It’s fairly goofy with a serious issue here and there. You can watch it on Wednesday nights at 9:00 Eastern on Fox OR you can DVR it (like we do) and watch it any time you want. There are other shows I enjoy watching, but I would happily give up all television as long as I still get to watch Castle and Glee. Until January. 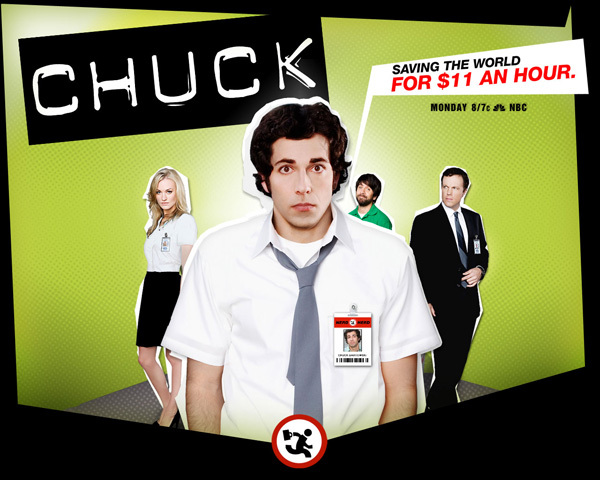 Then I’ll have to throw in Chuck, too. we're not tv people, either… in fact we don't have cable or satellite or anything, but we do think it's worth watching all three of these shows online… (by we, my husband would like the record to show, I do not mean to imply that he watches glee. ever.) cool to know we have something else in common. by the way…isn't it time we be in the same state again? We love love love Chuck, and we are big Castle fans as well. I haven't jumped on the Glee bandwagon yet, and I must confess that I've never seen an entire episode of Survivor. His Girl – YES! We haven't been in the same state since August!I find it interesting that we all watch the same shows. Coincidence? Or something else?? ?